Having been on the market for years, and as one of the original and most consistently popular golf apps, Swing by Swing has more than earned its reputation as one of the best digital golfing tools on the market. This intuitive piece of software was the most downloaded GPS app in the world in 2016, and with over 4 million subscribers, Swing by Swing's multifaceted offering remains one of the most comprehensive golfing apps available. The main feature of Swing by Swing is a simple but in-depth GPS function, which works on tens of thousands of courses worldwide, and is updated regularly. This is compounded by a handy scorekeeping tool, that can even provide a complementary handicap after three rounds. With a host of other free features including integration with wearable digital devices, this is a must-download for the modern golfer. Those who take their game a little more seriously can also subscribe to Swing by Swing's 'Looper' function, which provides an enhanced version of the GPS that includes to-the-minute wind information, as well as tag-free club tracking. 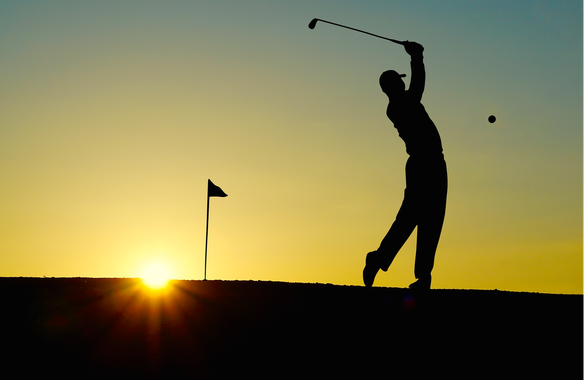 The developers have also partnered with several major golfing bodies including the PGA, and even offer tee time booking via the popular TeeOff service. Swing by Swing feels like more than just another app - it's like your own digital golf caddy. Another popular app on the iTunes store (ranking #6 in sports at the time of writing), Golfshot features a clear and easy-to-use interface for its GPS and scorekeeping features. With data on over 40,000 courses worldwide, Golfshot offers similar features many other golfing apps, but presents them in a no-nonsense manner that makes its many stats easy to interpret. Golfshot allows for integration with friends, allowing you to not only track your own statistics, but also those of regular partners and other golfers around the world, providing instant points of comparison (so you'll know straight away if you've bested your friends on a particular course). The free version includes scoring and shot tracking, as well as detailed distances for its extensive course list. Golfshot is a great tool for purchasing and tracking your Handicap Index, and it even includes a few more technical features such as 3D video course previews. The paid option is a one-time purchase, which might appeal to less frequent players or those who only head to the links seasonally, or during travel. The 'plus' version of the app includes real-time hazard and target distances, as well as personalised advice on club choice determined by your own playing data and history. Also featured in the app is the 'Golfplan' library, with over 350 personalised videos powered by Revolution Golf's extensive archive, from professionals including Sean Foley and Martin Chuck. This, along with helpful tools like GolfNow tee time bookings, make Golfshot one of the best golf in apps in 2018 for taking your game to the next level, offering a wealth of expert knowledge at your glove-clad fingertips. While some golfers might simply be looking for a broad overview of how to better their technique, or a few general hints on how to approach an upcoming course, those who know exactly what they need to improve their game in 2018 will find a wealth of potential in Golflogix. Offering players a widely customisable and personalised digital experience, Golflogix includes many of the usual suspects in terms of features (GPS tracking, handicap tracking, and 4-player scoring all make an appearance), along with a handful of in-depth tools broken down into a trio of tiered subscription options. The most interesting of these is also the one that sets Golflogix apart from the crowd: a library of thousands of highly accurate contoured Putt Break Maps. The maps provide information on where to place approach shots, as well as how shots on the green will break. Many golfers can attest to the frustration of missing that vital putt at the hands of some sneaky topography, and any players who have made a mortal enemy of the green will likely find this feature invaluable. The innovative 'Putt View' feature allows you to set the location of your ball and the hole on the interactive map of the green, which Golflogix then uses to provide custom insight into how best to place your putt. The app uses this feature to show you not only where your ball will land once you make it off the fairway, but how it will roll - a fantastic asset to the discerning golfer. The three membership options mean that you can select the features most pertinent to your own areas of focus, and all stats sync up with the Golflogix website for easy tracking. Throw in a few handy extras such as calorie counting, and it's easy to see that Golflogix apply a 'whole in one' approach to golfing functionality. Golf apps represent a leap forward in sporting technology, and while Golf Pad offers a number of features that might not break the mold in their own right, the software includes a couple of unique offerings that really set it apart. The option of the physical LINK and TAGS products make this app perfect for both casual players looking to enhance their game, and more serious players looking for some of the most innovative phone-based golf tracking features available on the market. With both a free and premium version of the app available, the features included in both versions of Golf Pad are enough to warrant a download in their own right. As well as the standard tools such as the GPS rangefinder, PGA-standard scorecard, and tee-to-green shot and club tracking (all of which are included in the free version, and are often hidden behind a paywall with other golf apps), Golf Pad also includes a handful of more interesting features. These include things such as custom club comparisons (with make, model, and shaft-type input options), as well as social media functionality and real-time round sharing so that your friends or your coach can keep up to date with your game remotely. All of these things are enough to qualify this as one of the best golf apps in 2018, but it's the inclusion of a couple of off-screen products that set Golf Pad apart. Android users can purchase a pack of Golf Pad 'TAGS', small tee-like tags that attach to your club and track swing momentum, technique, and other pertinent stats. iOS users will need to purchase the LINKS adapter to facilitate integration, at a slightly higher price point. Golf Pad uses the data collected from these chips to provide some of the most detailed insight available into your current play style and areas for improvement, short of employing a personal coach. The software supplies more accurate information on likely placement and club recommendations than other apps can possibly achieve, so if you're stuck in the rough with your swing, Golf Pad could be the solution. While it may sound more like a nursery rhyme than a golfing app, 18Birdies has been extremely well-received since first appearing on the market in 2016. Two years down the line and the app is still a go-to for many golfers looking to improve their game, with its tournament organisation features and social functions helping to transform the whole experience for players of all skill levels. 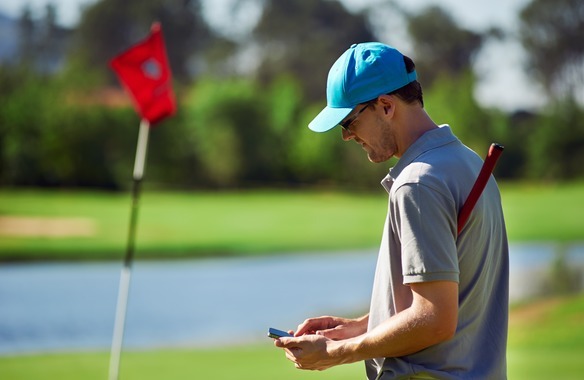 With the GPS tracking tool no longer constituting a unique offering in and of itself, users are looking for more interesting features, as well as improved functionality and usability when making the decision as to which golf apps to download. In these areas, 18Birdies delivers. While it offers all of the features users have come to expect, it does so in a way that far outstrips many of its competitors in terms of speed and ease-of-use. On top of getting the basics absolutely spot on (including scorekeeping in three taps from the GPS screen, and accurate and visually appealing course maps), 18Birdies capitalises on our modern digital lifestyles, and offers a fully integrated, standalone social network. Taking inspiration from the newsfeeds of Twitter and Facebook, this golf app features a global timeline displaying content from celebrities, pro players, and regular users alike, from all around the world. The app allows players to create custom communities (similar to Facebook groups), and features live round tracking so members of your group can keep up to date with each others' stats in real time. Another area in which 18Birdies sets itself apart is with the integrated tournament organisation feature, which allows users to set up and completely customise competitions of 1-4 rounds from scratch. Combine this with the 'Dream Games' feature (that essentially gamifies the game of golf, rewarding app users with virtual currency that can be used to purchase golf balls and other products), and it's clear that 18Birdies is a 'driving' force in golfing tech. For the most part, golf apps tend to offer players tools and features that enhance their actual game, but GolfNow offers a service that's just as integral to the experience: a direct and convenient tee-time booking service, for courses all around the world. Integrated with over 6,000 global courses, GolfNow offers a solution to players who find themselves frustrated with the lengthy process of booking a round. It might not offer the same high-tech insights into your minute-to-minute play as some of the other golf apps on this list (although it does include a handy GPS and scoring feature), but if you're looking to organise a round or two in 2018, GolfNow is a handy tool. Saving you valuable time and effort by offering secured credit card data storage, you can view available tee times, and book and pay for a slot all from within the app at the touch of a button (or screen). Users can search by location, city, or landmark to find nearby courses, and the 'Hot Deals' function can even net you a discount. Free to download for users on iOS and Android, GolfNow also offer a VIP membership that's particularly pertinent to players in the USA (where many of the courses it services are located). Membership includes waved convenience fees and a host of other benefits, and the app can even supply you with directions to your course. With GolfNow, players who fancy a spontaneous round can go from being sat at home to teeing off in no time at all, and whether you're travelling to somewhere new for the first time, or simply want an easy way to book a round at a course near your home, this is an app that all golfers should add to their collection in 2018. Golf might have been around for centuries, but the official rules have changed as time goes by. However clued in they might be, golfers can still find themselves in a dispute over the specifics of gameplay. There are few things worse than having to be 'that player' and hold up gameplay because you're sure your opponent has broken a rule.With this in mind, an essential tool for golfers in 2018 is the R&A Rules of Golf app. This simple tool frees up space in a player's golf bag usually taken up with a physical copy of the official guidelines, and condenses all the information you need down to a few pixels on your home screen. With a complete up-to-date edition of the rules of the game, and offering everything from advice on the way to behave while on-course to an infinitely useful quick-access guide to the most common disputes, this app has become a go-to for many players. The app's content is available in a wide variety of languages, along with an intuitive layout - and if you think you're already 'up to par' with the rules, there's even an interactive quiz to test your know-how. Replete with diagrams, images, and visual aids, this is one of the best ways to get to grips with the ins and outs of the game in an easy-to-understand way. The app has golfers covered when it comes to general etiquette too, and includes a comprehensive guide to everything from the dos and don'ts of course care to the correct way to handle pace of play, contributed by 2-time Open Champion Padraig Harrington. Hudl is the perfect golf app for players less concerned with course layout and statistics, and more with their own swing technique. One of the great benefits of employing a golf coach is the fact that they can observe your technique, and offer insight into how to improve - but with Hudl, players can avoid the expense of employing a professional, while reaping many of the same rewards. Hudl features a 240 FPS video recording function, allowing you to record your swing in high speed and definition, and then play it back in order to analyse your technique. The app takes things further than simply offering you a camera function though, and allows you to draw swing plane lines, and compare your swings to monitor consistency and areas for improvement. All of these features wouldn't be much use without a point of comparison, but Hudl has golfers covered in this regard too. After recording a swing, players can compare their technique with footage of over 90 swings from world-leading player such as Jeff Overton and Patrick Reed, and multi-platform integrations (with DropBox, Facebook, YouTube and more) allow you to share your recordings with others. With a host of other bonus additions, such as the ability to create side-by-side stroke comparisons with voice overs and annotations, Hudl Technique Golf is a must-have for players looking to hone their skills in 2018. 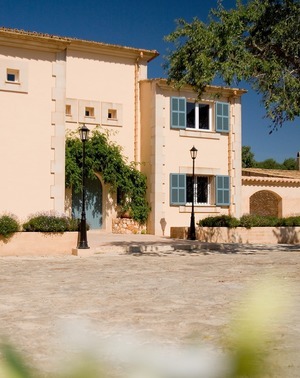 INVESTMENT IN THIS SCHEME IS RESTRICTED TO CERTIFIED HIGH NET WORTH INDIVIDUALS OR SOPHISTICATED INVESTORS. EVIDENCE OF THE CERTIFICATION WILL BE REQUIRED BEFORE DETAILED INFORMATION CAN BE PROVIDED TO YOU. THE PRICE OR VALUE OF, OR INCOME FROM, INVESTMENTS CAN FALL AS WELL AS RISE. THIS INVESTMENT CARRIES A RISK TO YOUR CAPITAL AND AN INVESTOR MAY GET BACK LESS THAN THE SUM INVESTED. YOU MAY HAVE DIFFICULTY SELLING THIS INVESTMENT AT A REASONABLE PRICE AND IN SOME CIRCUMSTANCES IT MAY BE DIFFICULT TO SELL AT ANY PRICE. DO NOT INVEST IN THIS UNLESS YOU HAVE CAREFULLY THOUGHT ABOUT WHETHER YOU CAN AFFORD IT AND WHETHER IT IS RIGHT FOR YOU. ‘ THIS FINANCIAL PROMOTION HAS BEEN APPROVED BY VELAY FINANCIAL SERVICES LIMITED, 210 NEPTUNE HOUSE, MARINA BAY, GIBRALTAR WHICH IS LICENCED BY THE GIBRALTAR FINANCIAL SERVICES COMMISSION AS AN EXTERNAL ALTERNATIVE INVESTMENT FUND MANAGER UNDER THE ALTERNATIVE INVESTMENT FUND MANAGERS REGULATIONS 2013 (LICENCE NO. FSC0103AIF). THIS INVESTMENT IS NOT BEING OFFERED TO (1) ANY PERSONS RESIDENT OR LOCATED IN THE UNITED STATES OF AMERICA; (2) ANY UNITED STATES CITIZEN WHO IS STATIONED OR SERVING OUTSIDE THE UNITED STATES AS A MEMBER OF THE US ARMED FORCES OR DIPLOMATIC CORPS OR ANY OTHER GOVERNMENTAL AGENCY EITHER AT THE TIME OF OFFER IS MADE OR WHEN THE PURCHASE ORDER IS INITIATED.